Neal Rappleye and I spent the afternoon yesterday with Jack Welch in his office. He described his presentation in July to the Jewish Law Association Conference at the University of Antwerp. His paper was entitled "Narrating Homicide in the Hebrew Bible and the Book of Mormon." The Nephite text early on tells the story of a gripping homicide (1 Nephi 4) and many others are mentioned. 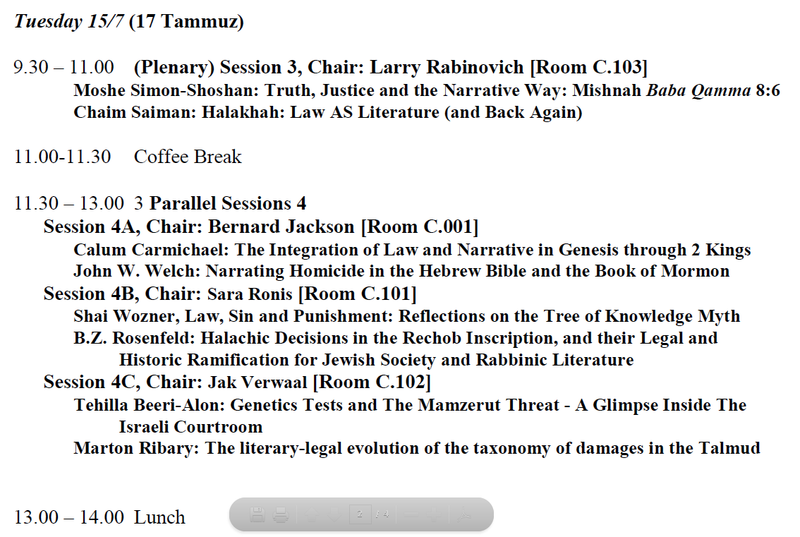 The theme of the conference was "Judaism, Law and Literature." This snippet from the conference program helps put Jack's presentation in context. From the time he left private practice in Los Angeles to join the BYU Law Faculty over thirty years ago, John W. Welch has been an avid student of Biblical Law in both Jewish and Nephite literature. Students in his ancient law classes through the years have authored hundreds of papers, many of which bear on aspects of Biblical Law evident in the Book of Mormon text. 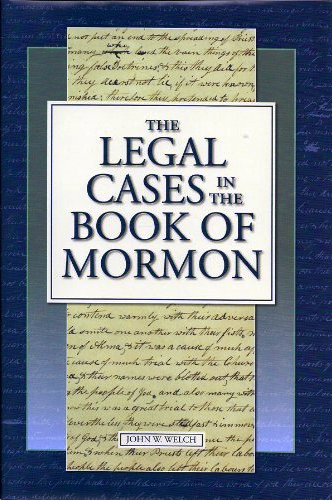 Welch's important book The Legal Cases in the Book of Mormon (Provo: BYU Press and Neal A. Maxwell Institute for Religious Scholarship, 2008) is an accessible introduction to a major aspect of the Book of Mormon unfamiliar to most students. Written for a general audience and highly readable, it highlights just how much jurisprudence is in the Nephite text, and the astonishing degree to which Nephite legal process followed pre-exilic Jewish patterns. I consider this hard-cover book so important - it pioneers an entirely new genre within Book of Mormon Studies - I will send a copy free of charge (while supplies last) to anyone who requests it via old-fashioned paper letter sent to Ancient America Foundation, PO Box 1538, American Fork, UT 84003-6538. Be sure to include your return postal address. If you prefer Amazon, click here. Before I read Welch's book, I had read the Book of Mormon dozens of times, often with considerable care. After reading The Legal Cases in the Book of Mormon, I will never read the Book of Mormon the same way again. It opened my eyes to many points of ancient judicial process that I had not previously recognized in the text because like most, I am not trained in Biblical Law. Jack Welch is not only a student of Biblical Law in the Book of Mormon. He is a significant contributor to the global Biblical Law discipline generally and has been a member of the Jewish Law Association (JLA) for decades. He has served on the steering committee of the Society of Biblical Literature (SBL) Section on Biblical Law. Through his tireless efforts and the manpower provided by his students over decades, BYU is an important source of bibliographic reference materials in the field.